The early stages of the Tour are always marked by crashes and confusion. Yesterday saw some of the principles losing time against others. One who lost time yesterday was Adam Yates (Mitchelton-Scott) who hit the asphalt again today. 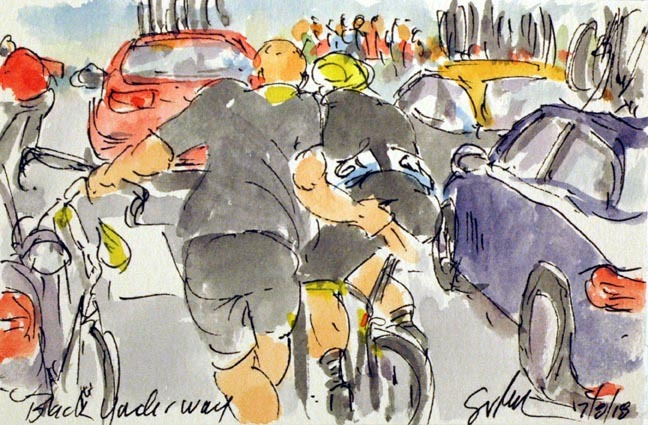 His teammate, Jack Bauer, quickly came to his aid, trying to get his team leader's bike sorted before the team car arrived. Once the car was there, the team mechanic swapped bikes and gave Yates a push to get back underway. There was still plenty of road for Yates to get back into the peloton, not losing any more time today.